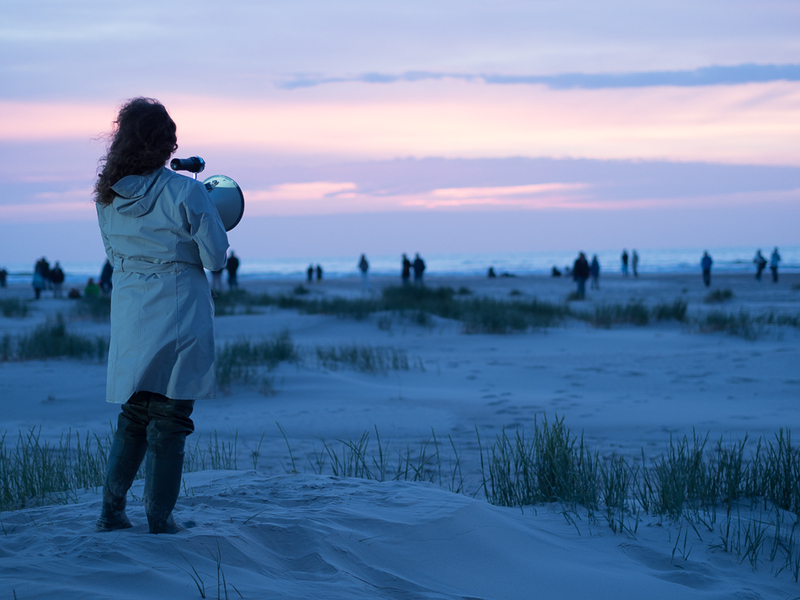 At the Oerol Theatre Festival 2018 on the Dutch island Terschelling, the production ‘Signaal bij Schemerduister’ (Signal at Dusk) premiered. 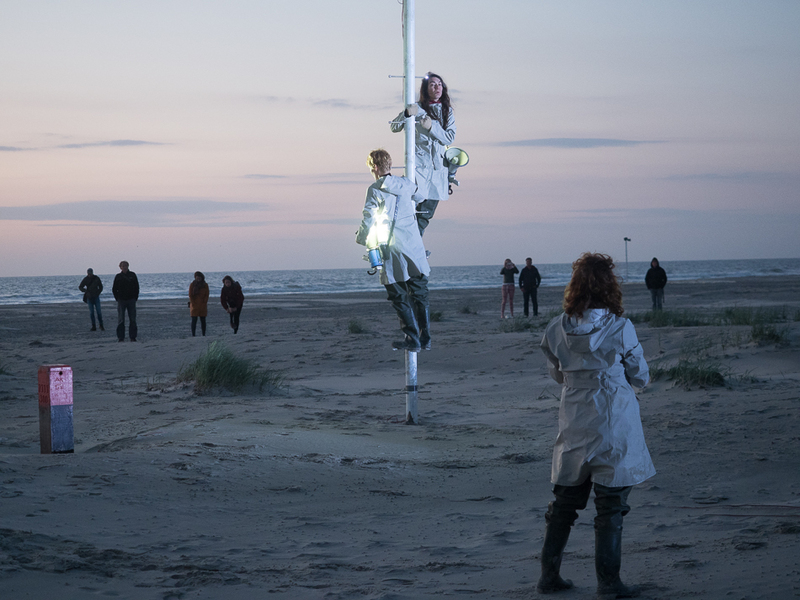 This ‘walking opera’ was conceived by composer duo Strijbos & Van Rijswijk for four female voices and 24 loudspeakers. 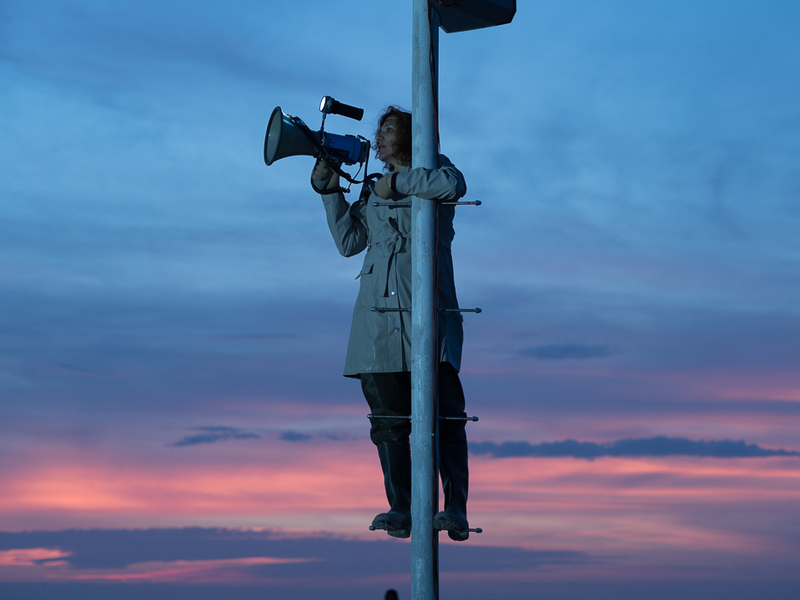 These loudspeakers were mounted on poles, that were spread out over the beach. The audience could choose their own path through the speakers and by doing so every member of the audience experienced their own composition. Just like composed sounds and music, also light can be perceived as an abstract entity. Both do not tell a concrete story, but stimulate the experience of the listener or spectator. 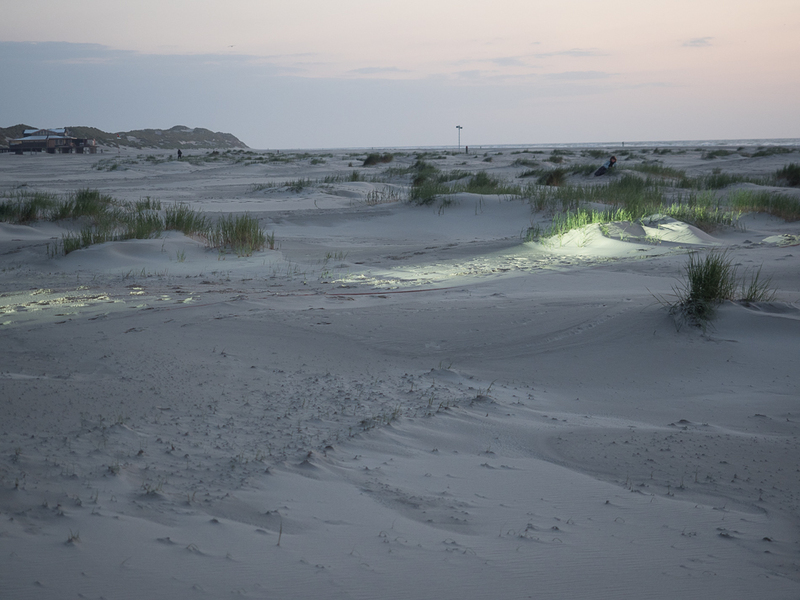 The lighting design for this sound experience ‘Signaal’ was made by Floriaan Ganzevoort. 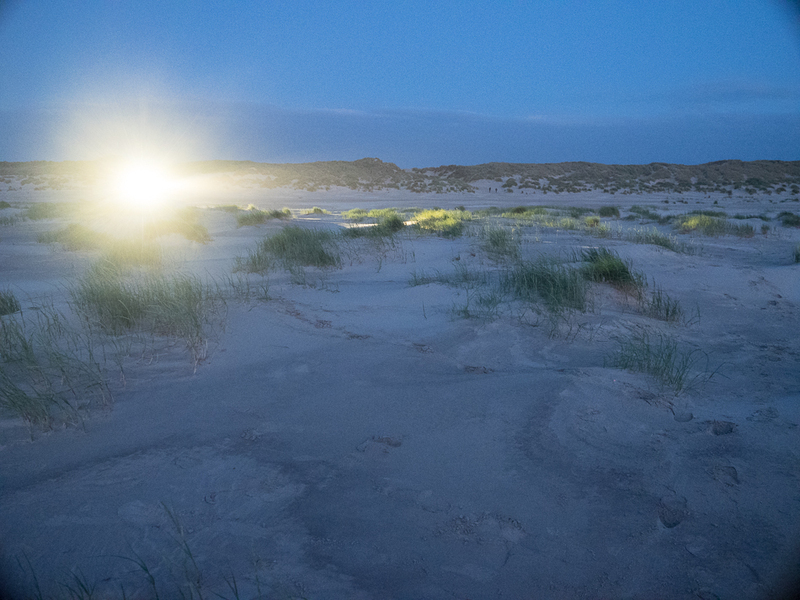 The light provides a visual association with the composed sounds. Just as the composition communicates its signals between the wooden poles, the light does the same. There was an arrangement of eight lamps at a central location in the middle of the field of poles with the speakers. The poles were treated with a special reflective paint, through which compact beams of light slid through. Sometimes this reminded of a lighthouse, then again it had the rhythm of Morse code. By moving different beams of light at different speeds through the landscape of wooden poles, they illuminated one by one or in different groups. The poles also drew long shadows over the landscape. These shadows dispersed from the single source of light. It was therefore always visible where the source of light was relative to where you were as a spectator. The only bundles of light that did not fall from this center came from the singers who had their own light sources. 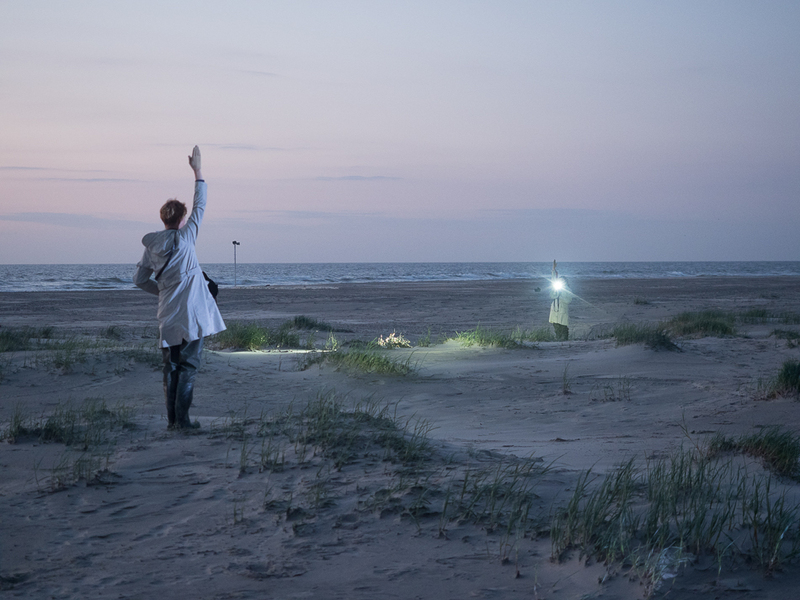 They revealed the direction of their sound to the audience through their own their own speakers and light sources, which drifted through the landscape like swaying lights.